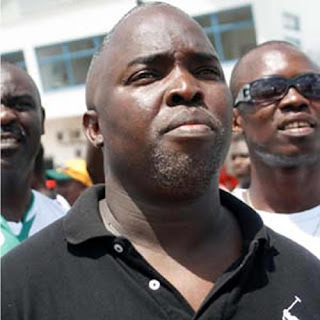 The Nigerian Presidency has summoned president of the Nigeria Football Federation (NFF) Amaju Pinnick and his top officials following a protest march by the country’s women’s team. Pinnick has also divided his executive committee after he unilaterally decided to contest for a seat on the executive committee of the Confederation of African Football (CAF) next year. The Falcons have been pressing for their entitlements since they won the women’s AFCON about a fortnight ago in Cameroon. Earlier today, the chief of staff at the Presidency Abba Kyari addressed the team when they stormed the National Assembly to protest the non-payment of their entitlements by the Nigeria Football Federation (NFF). He promised they will be paid this week. The Falcons led by skipper Rita Chikwelu displayed various placards to kick against the shabby treatment they have been subjected to by the NFF. The Falcons have embarked on a sit-in protest at the Abuja hotel since they won a record eighth women’s AFCON almost a fortnight ago. They have also held on to the trophy they won at the expense of hosts Cameroon, insisting they first be paid off. They have defied the assurances of sports minister Solomon Dalung, who famously admitted no provision was made to pay them because officials did not expect them to win the championship in Cameroon.